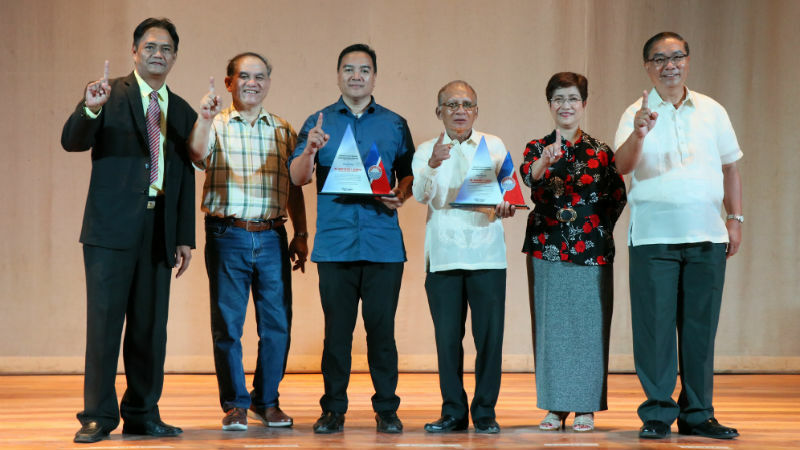 LINGAYEN, Pangasinan – Besting other local government units (LGUs), the province of Pangasinan has been cited as the Best Migrant Desk Officer (provincial category) in the 1st Regional Congress held at the Sison Auditorium recently. Ably representing Governor Amado I. Espino, III, Pangasinan PESO Desk Officer Elizardo D. Laureta received the plaque of recognition conferred by the Department of Labor and Employment (DOLE) and Overseas Workers Welfare Administration – Regional Welfare Office 1 (OWWA – RWO1) to the provincial government of Pangasinan. The award recognizes the “exceptional service as duly-designated MDO” of the provincial government of Pangasinan in uplifting the general welfare of the OF/Ws, their families and their communities. In his speech, Pangasinan PESO Manager Alex F. Ferrer extolled such undertakings of the OWWA Region 1 to commend the initiatives of migrant workers and OFW families as he urged the newly-elected officers of the migrant desk officer (MDO) association to further support the programs of the OWWA. As such, Ferrer said that the provincial government under the leadership of Gov. Espino will keep its support and assistance to the prevailing and future undertakings of the OWWA Region 1. It can be learned that the provincial government of Pangasinan mounted its existing OFW task force by creating the Pangasinan Migration and Development Council aimed at implementing programs which will promote the interest and well-being of OF/W families. Meanwhile, DOLE Region 1 Director Nathaniel V. Lacambra, who was represented by Barbara Masabiog, exhorted the MDOs to work hand in hand to attain the main objective of the organization which is to be of help to the OF/W families. Furthermore, he equally thanked the MDOs for the overall success of the association. Special awardees also include: Roel Sabado of Rosales, Pangasinan (Best MDO – Provincial Level); and Elizardo D. Laureta (Best MDO – Regional Level). Prior to the awarding ceremonies, the oath-taking ceremony of the Regional Association of Migrant Desk Workers was held.